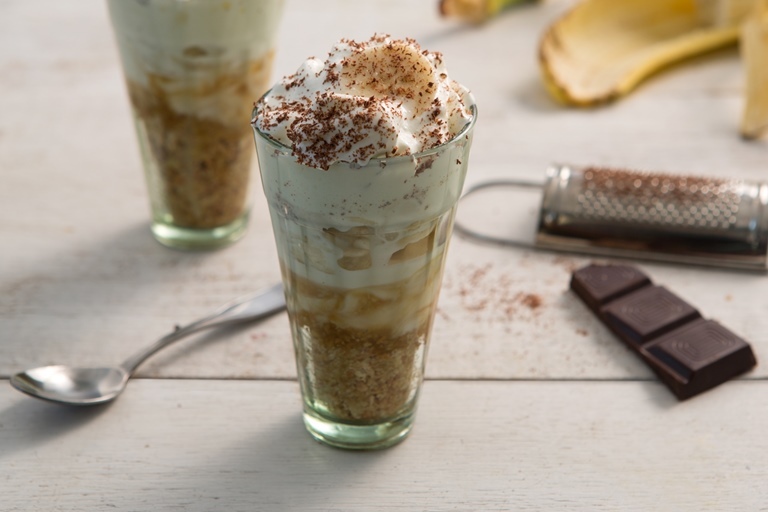 Who loves Banoffee pie? If you're on a diet there's good news as Jacqueline has a low calorie version that's perfect if you're counting calories. The excess of December is over. I know, you generally just over-eat at Christmas, but believe me I over-ate throughout December. There were the mince pies, all the chocolate floating about, way too much wine and Prosecco and six or seven meals out. See, what did I tell you? Excess!! So January’s here and I’m back on my 5:2 Diet. You must have heard of the 5:2 Diet, but just in case you’ve been living in outer Mongolia, it’s a diet where you eat under 500 calories if you are a woman and under 600 calories if you are a man, twice a week. The rest of the week you eat normally. The idea is that as well as consuming fewer calories; you are also giving your body a rest and slowing down a growth hormone called IGF –1. As a child this hormone helps our bodies grow, but as an adult we really don’t need to grow any more and there it is producing good and bad cells at an alarming rate. Having a lower calorie fast day gives our bodies a chance to repair instead of producing all these cells. Scientific studies have shown that those low in this hormone have very few cases of illnesses such as heart disease and various cancers. The diet is worth think about for that alone. So January is here, I’m back on my diet and I’m looking for lower calorie recipes to enjoy. 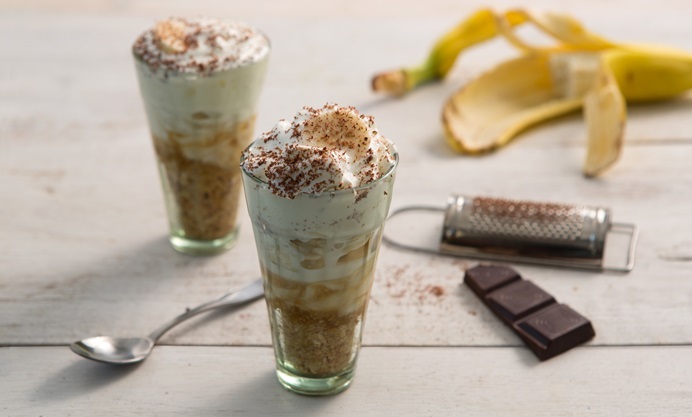 I was wracking my brain for inspiration, when I received a tweet asking if I could make the Banoffee Pie (you first saw here on Great British Chefs), but with lower calories. The original pie was amazing, but very calorific. M&S, who provided the recipe, said it served 10 and came in at 384 calories per serving, however realistically it would probably serve 8 at a whopping 480 calories. My task was to take that as low as I could without losing too much flavour or the feeling of eating a really luxurious treat. I managed to bring it down to 253 calories and it was absolutely delicious. I hope you try it and let me know what you think.